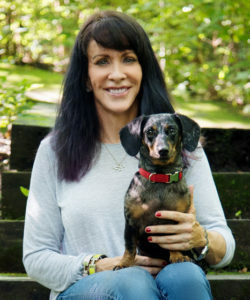 Roxie has participated in events and competitions many times. 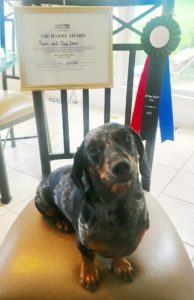 Today her keen sense of smell not only earned her NW1 title, but she was awarded The Harry Award by the National Association of Canine Scent Work. 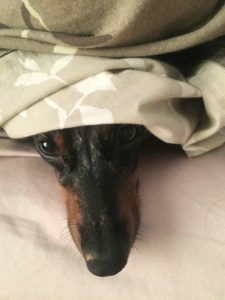 Harry was a rescue dog who was initially very shy but went on to be quite a special dog. Harry was slated to compete in the NACSW Inaugural Fun Nose Work Competition in 2008, when he became ill and sadly did not recover. The Harry Award is given to the “most outstanding rescue dog that demonstrates extraordinary ability and spirit in nose work at the NW1 level”. So, what does this have to do with adoption? Well, when I adopted Roxie I dipped my toe into the world of dog sports by taking an obedience class taught by a very excellent dog trainer. We then moved on to compete in Barn Hunt events, Earth Dog events and now Nose Work. These things were new to me and completely out of my comfort zone, I had never handled dogs other than having them as pets. Both Roxie and I learned together, one day at a time and one trial at a time. We took risks, asked a lot of questions, made mistakes (I did, not Roxie, of course) and kept going even when it was easier to call it quits.